Manchester City vs Tottenham Hotspur predictions for Saturday’s Premier League clash at the Etihad. 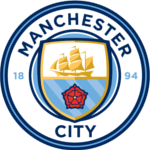 Manchester City look to get over the drama of midweek when they face Tottenham Hotspur for the third time in 11 days, with this tie being in the Premier League. Read on for all our free predictions and betting tips. The Etihad hosts Manchester City’s tie with Tottenham for the second time this week on Saturday afternoon, and if it gets even remotely close to the drama that unfolded on Wednesday night, we’re in for a real treat. Sergio Aguero’s goal that looked like it would win the tie was followed by a bundled, VAR-checked Fernando Llorente goal at the other end. The action culminated in a Raheem Sterling goal that would have sent the Citizens though, until it was ruled out by VAR for offside, that is. The final scoreline was 4-3 to the hosts, but it left Pep Guardiola’s men devastated on the Etihad pitch. Now, they have to pick themselves up to face the same opponents in the same venue, this time in the Premier League. They sit two points behind Liverpool but with a game in hand, so the title race is still in their hands. Spurs, meanwhile, saw their unlikely title challenge collapse back in February as they picked up just one point in a run of five games. They are now embroiled in a very real battle for a top four spot, and they will be hoping their incredible continental success can boost morale enough to see them through the rest of the campaign. Taking anything off Manchester City here will be a very tough task though. The hosts have won nine league games on the bounce and have picked up the three points in 16 of their 17 home games in the Premier League this season. They have notched 55 goals in the process, and they’re facing a Spurs side who have lost their last four away games in the league. 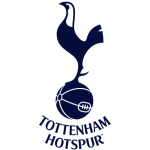 Manchester City have won each of their last three Premier League games against Tottenham Hotspur, the Citizens are looking to equal their competition best run of four successive wins versus Spurs. Tottenham are looking to become the first team since Liverpool in 2008-09 to win away in the Premier League against both Manchester clubs in the same season. No side has won more points in Premier League games between the ‘big six’ this season than Man City (19), while only Manchester United (6) have won fewer points than Spurs (7). Tottenham have lost each of their last four away league games, conceding two goals each time. They last lost more in row on the road in the top-flight between March-May 2004 under David Pleat (6). Mauricio Pochettino has only tasted victory in one of his five Premier League trips to the Etihad (W1 D1 L3), a 2-1 win in February 2016 against Manuel Pellegrini’s Man City.